Hope y’all are having a great Thanksgiving Holiday! Today’s post is about something I’m a real newbie with. I think partially it’s because I have my eyebrows tattoed on. But I try everything once at least. 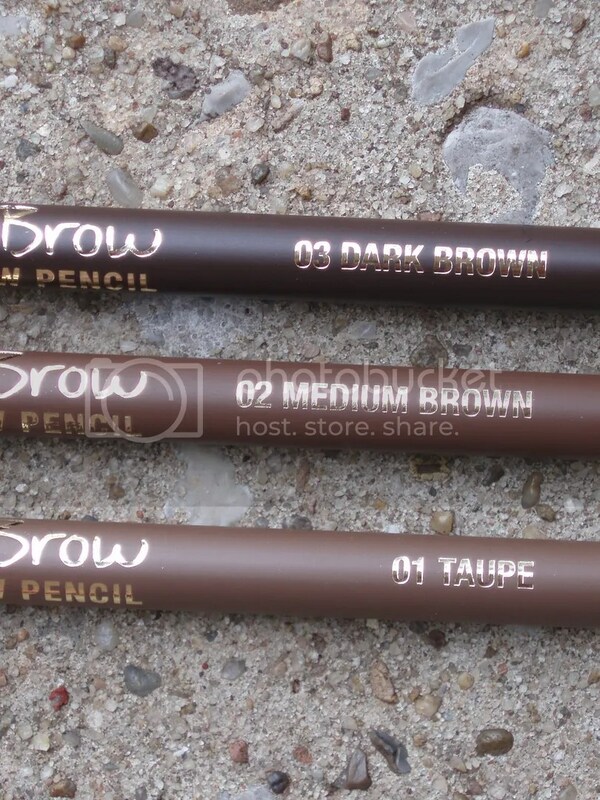 🙂 Enter Jordana FabuBrow Eyebrow Pencil. I liked how creamy it is as opposed to the waxy, hard type of formula that a lot of other brands have. These are quite pigmented and very easy to use. The lasting power is impressive. I survived full work days without any touch ups at all. The shade I used on myself is Dark Brown. I didn’t use the brow brush end much, but it did provide the combing action my eyebrows needed when there’s a couple hairs going astray. The downside? 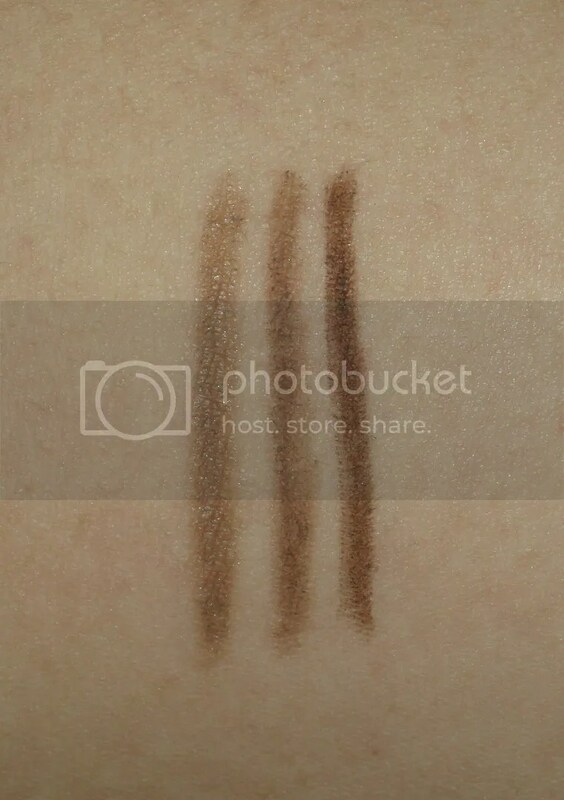 Well, I was hoping that the 3 shades differ more than they actually do for people who have lighter eyebrows such as on the blonde side or even a redder shade of brown for redheads. Maybe Jordana is cooking up more shades to come? 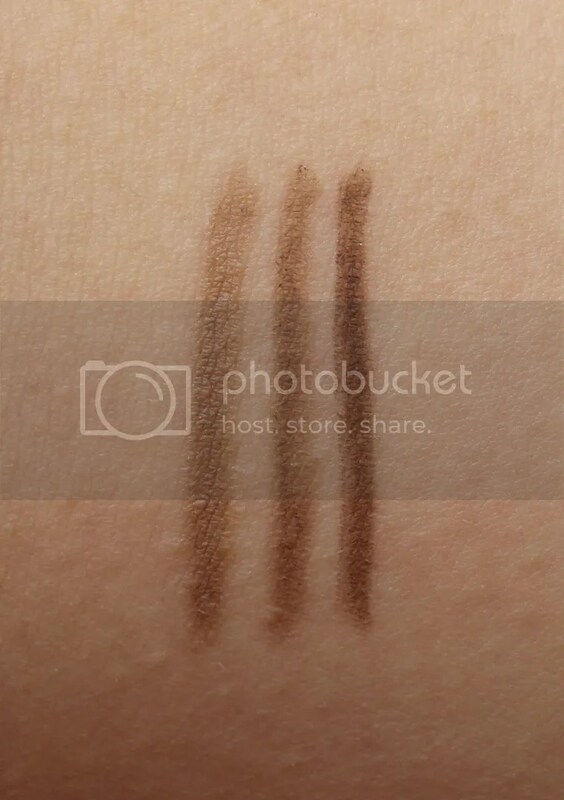 Swatches below shows the color payoff with three strokes of the product on my arm. 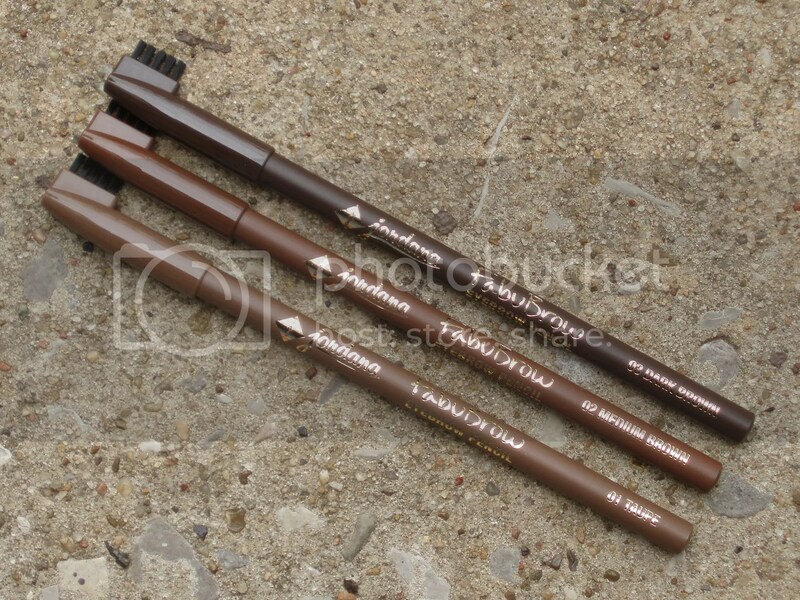 They are shown in the order as the shot above from left to right (Taupe, Medium Brown and Dark Brown). These retail for $2.99 each. And since I don’t have any other eyebrow liners, I’d pick these up again when I run out. They are decently priced for the color payoff and lasting power of the product. You can get these on their website or at your local Walgreens and KMart stores.